ESU is joining the movement to decrease student debt by providing them with Open Educational Resources (OER). OER are free physical and online textbooks, modules, tests, and other educational material needed for students to obtain knowledge within their course. OER are free of cost for both, students and Universities, making it a win-win situation all around. Universities across the nation have been OER for their students, and ESU faculty is looking to increase the use of these textbooks within campus. According to Student Public Interest Research Groups, 65 percent of students do not purchase textbooks for their classes because they are too expensive. Research also shows that students are more likely to enroll in courses that do not require textbook purchase. ESU student Victoria Nguyen, who currently works in the library, sees a lot of students use textbooks available in the library for hours at a time and says it would be easier if they can access these textbooks from a computer. With OER, students can use the textbooks from the comfort of their homes. “OER will also encourage students to be more prepared for their classes, especially for those who do not have the financial capability to purchase expensive textbooks,” says Nguyen. Not only are textbooks overpriced, their costs continue to rise, and Smith hopes to alleviate that burden from college students by encouraging professors to incorporate OER in their classes. Currently, there are about 100 physical OER available for free in the Kemp library for students to use. Like reserved textbooks, they cannot leave the premises of the library. They can however be used in the library without being checked out. OER is also available through online public domains and other OER websites that contain free licenses, which give professors the permission to use the textbooks for free. Professors can edit, modify, and mix and match existing textbooks to match their course material. Professors can also redistribute their textbooks for other instructors to use. Some of the websites that offer OER textbooks include openstax.org, oercommons.org, and Google Sites. English Professor Dr. Holly Wells, currently offers OER to her students through Google Sites and stresses how important it is for ESU faculty to offer these textbooks for their students. 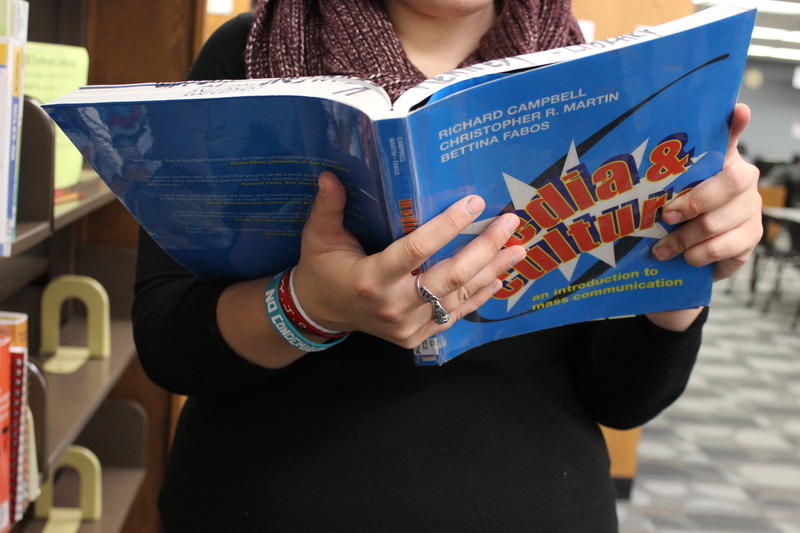 Wells previously published a traditional textbook for her students and was surprised when she learned that the publishers and library increased the cost of the textbook for her students. “Why would I give publishers and bookstores a platform to take advantage of my students when I can provide them the material for free” she says. “Although it requires a lot of time to find or make a textbook that fits the course, the greatest advantage is that you can make a textbook that is relevant and customizable to your students, with lessons, quizzes, etc.” says Wells. Professors steer away from using these textbooks because it requires more time and effort to find the right textbook, but in the long run it benefits students and professors alike. “Instead of picking a book from publishers, analyzing it and assigning it to the students, professors need to actually go do some research, edit it, and customize OER to fit their courses” Smith says. Dr. Jeff Ruth, ESU’s Department of Modern Languages chair is currently on sabbatical to develop an OER Spanish text. His textbook will be available to anyone in the world free of charge, and with the right to modify and share it however they wish. “At ESU, it’s clear that there is a strong new wave of interest in OERs—it’s great to be part of that,” he says “I look forward to seeing instructors and departments make OER adoptions for their courses”. “OER is the future—students get a much needed break on textbook costs, and instructors learn from each other’s ongoing modifications of the original text,” says Ruth. Students with questions regarding OER can go to the Kemp Library or contact Megan Smith msmith130@esu.edu. Just FYI, I said “publishers and bookstores,” not “publishers and libraries” — don’t want my librarian peeps to think I was dissing them! Great article, important topic.